Like many Kansas City residents, KCPD Captain Thad Seever didn’t have a clear understanding of what the Kansas City No Violence Alliance (KC NoVA) was until he joined the organization as a commander a few months back. Seever had envisioned a squad of sorts, consisting mostly of police officers. 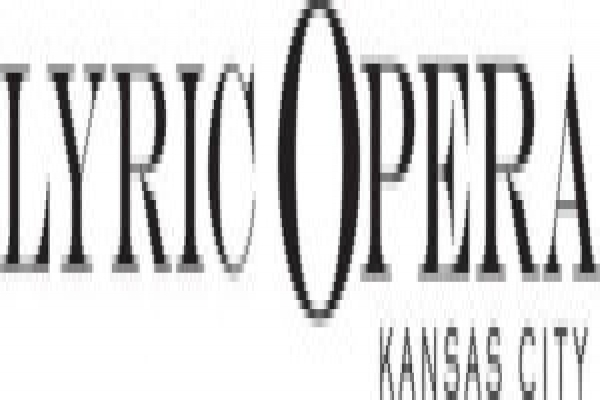 What he found was a wide-ranging collaboration, with KCPD serving as the enforcement arm. If Seever was unsure how NoVA operated, it stands to reason that the general public has also been left wanting. Did you know, for instance, that KC NoVA employs three full-time social workers as client advocates? Seever estimates that at any one time, those client advocates are connecting 80-90 individuals to vital social services. To its credit, Seever indicated that the KC NoVA governing board understands that the collaboration could do more to positively engage the community. 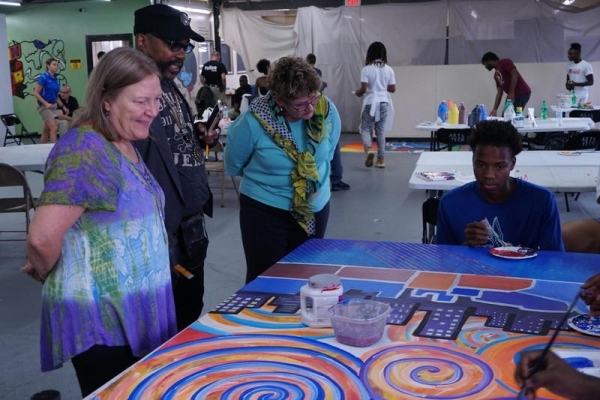 Those efforts have clearly been prioritized under Chief of Police Rick Smith; NoVA personnel organized a community canvass in the Historic Northeast in March, and a NoVA Impact Squad has been somewhat publicly employed in the Northeast area since early 2018. The KC NoVA governing board also recently hired a full-time staffer dedicated to community engagement. According to Seever, Chief Smith’s vision is for NoVA Impact Squads to eventually be deployed in each patrol division. Whether you realize it or not, the Kansas City No Violence Alliance (KC NoVA) is out there. The goal, at least for the moment, is making the Historic Northeast a safer place to live. Resources deployed in the area include two enforcements squads, enforcement elements from Narcotics and Vice, Probation and Parole, undercover assets and codes enforcement personnel. Initially, those resources were focused primarily on less than a dozen of the area’s most notorious criminals. “When we first started this initiative in the Northeast, we identified a group of eight individuals that we believed were causing the most disruption,” Seever said. Those eight individuals, KC NoVA believed, were the main culprits behind drive-by shootings, aggravated assaults, and armed robberies. 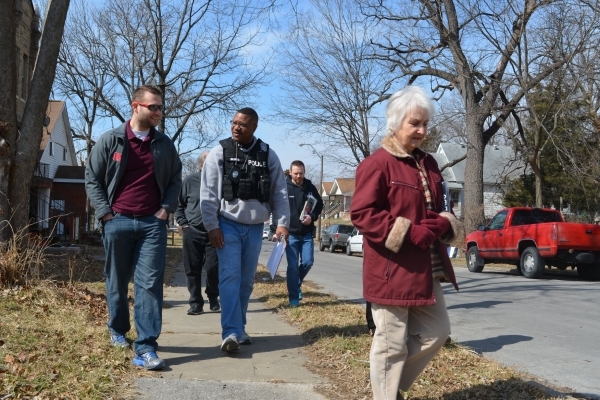 This new geographical enforcement strategy – focusing on one neighborhood at a time – was first deployed with a pilot program in the Hickman Mills area of South Kansas City. The problems in that area stemmed primarily from juveniles, and Seever said that NoVA noticed a general reduction in violent crime after the main culprits were brought to justice. With NoVA’s resources now in the Historic Northeast, the organization is showing that it recognizes a problem with violent crime in the area. Those resources have already proven to be a valuable commodity. When a utility worker was tragically murdered near the intersection of 9th and Brooklyn, NoVA personnel were among the law enforcement responders. Another problem being addressed by NoVA is the stock of vacant homes in the Northeast, and the criminal element that attracts to the empty properties like a high-powered magnet. To help curb those issues, NoVA supervisor Captain Aaron Benson has been assigned full-time to finding those dangerous homes and referring codes violations to the City. 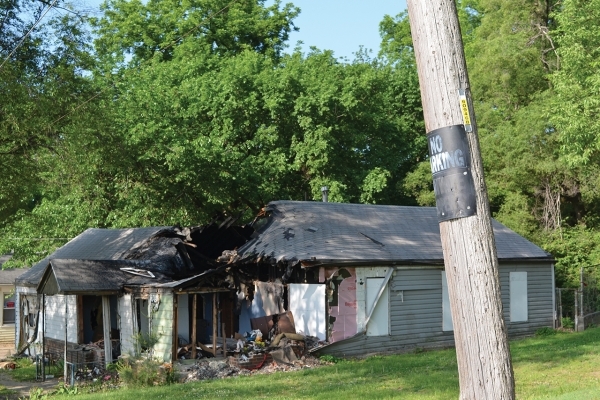 The subject of vacant properties, and the problems that arise from them, has been raised by law enforcement personnel before, including during a sweep of area homeless camps last month. To get a sense for the scope of Benson’s efforts, the Northeast News rode along with him for a short spell earlier this month. Benson started his career working patrol in the Historic Northeast. To this day, it holds a special place in his heart, making his current assignment a personal affair. At one point, Benson slowed down his vehicle to point out two problem residences which have since been abated. They are clean, freshly mowed, with boards neatly filling the windows. But according to Benson, those are relatively new developments. Benson added that his interactions with the Northeast community have largely been positive. Two years into his stint at NoVA, Benson has grown adept at spotting problem properties. It’s not just overgrown weeds and piles of trash; one of the biggest indicators of an organized criminal element is graffiti. The public display of gang signs is a sign of comfort, and Benson has been working diligently with City codes officers to make the life of a criminal uncomfortable in Northeast Kansas City.